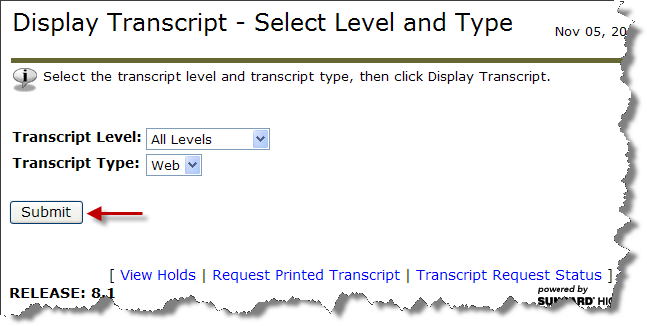 Students may view a copy of their unofficial transcript within their MyCCRI account. 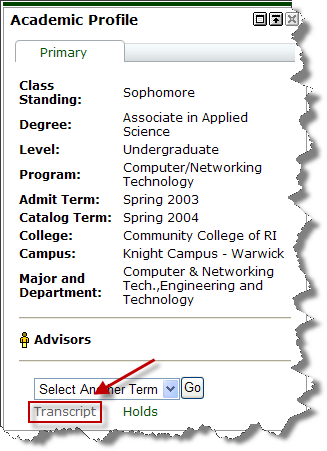 Log in to your MyCCRI account and click on the For Students tab. On the left-hand side, under Academic Profile, click the Transcript link. 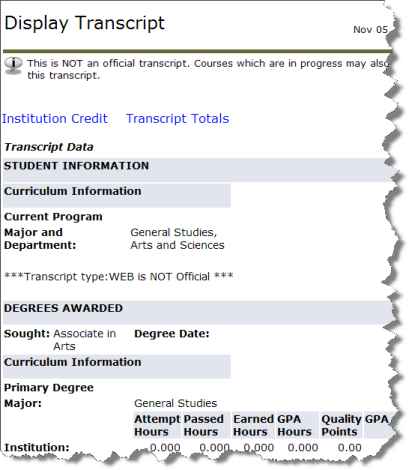 Scroll down through your transcript to view. This page developed and maintained by the Information Technology Department. Send comments and suggestions to helpdesk@ccri.edu . This page developed and maintained by Community College of Rhode Island. 400 East Avenue, Warwick, Rhode Island 02886-1807 - Telephone: (401) 825-1000. Send comments and suggestions about this site to webservices@ccri.edu.